It is Christmas Eve and late last night my wife mentioned that we are taking a cake to my sister-in-law’s on Christmas Day. Time for a small panic! 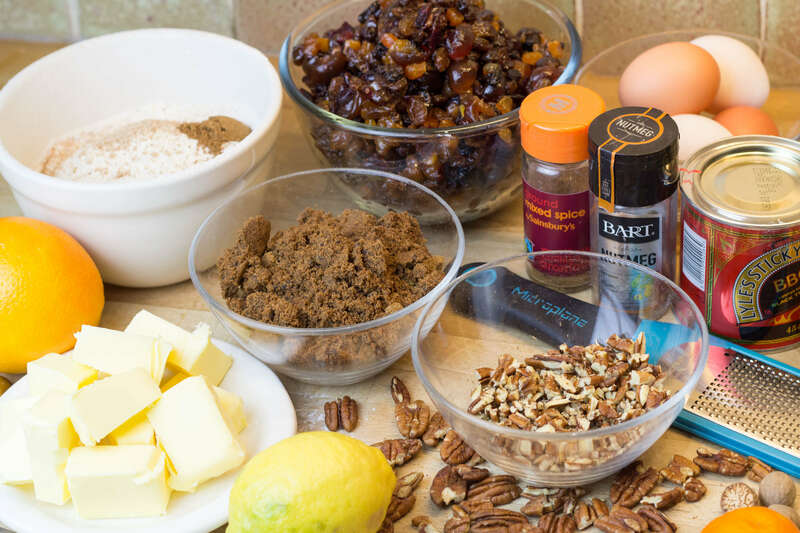 Luckily I have a few jars of homemade mincemeat left and a quick rummage through the baking cupboard unveils half a bag of brandy soaked dried fruit and Christmas spices. I have based the recipe on a Mary Berry mincemeat cake recipe. 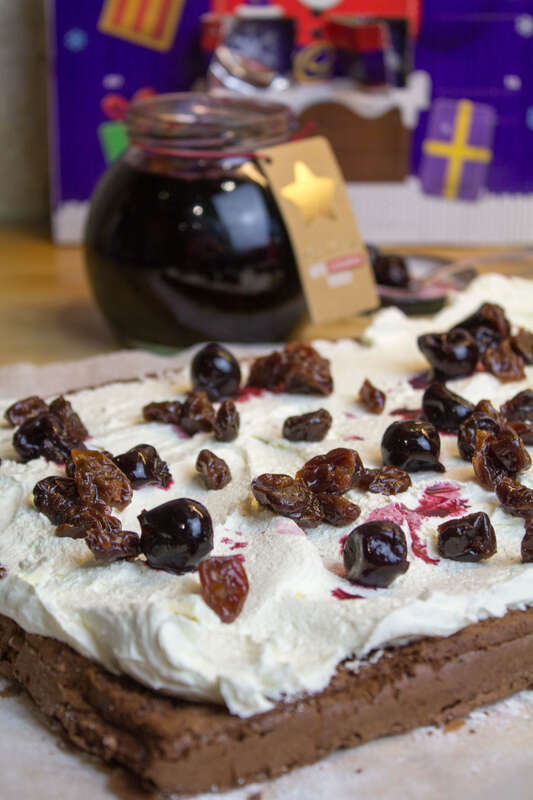 Whilst I normally like my Christmas cake to mature and get a sound drenching in brandy, this is a quick and delicious cake that will do the job perfectly. I am a pecan addict though and have swapped out almonds for them as well as adding some mixed spice. This is a super quick recipe to prepare, I cream the softened butter and sugar together first. Then throw everything else into the stand mixer and mix until blended all together. No fuss. Into a lined 2lb loaf tin, pop it into a low oven for about 90 minutes and you are done. This with a cup of tea will go down a treat after a nice afternoon dog walk through the village. 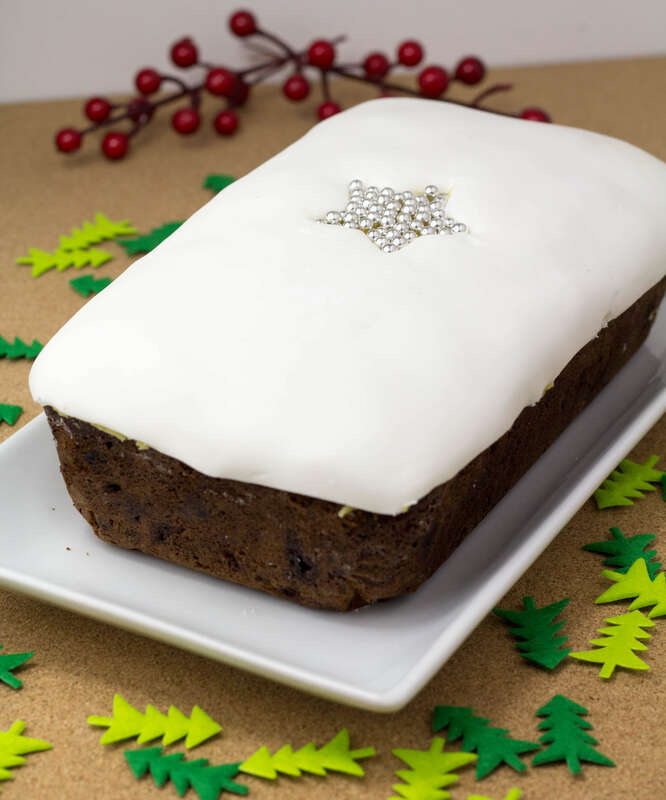 I love a bit of marzipan and icing on my Christmas cakes but you could decorate with nuts and glaze it with some warmed apricot jam. 2. Cream the softened butter and sugar together either with a wooden spoon in a large bowl or a stand mixer. 3. Add all the remaining ingredient into the bowl and beat well until thoroughly blended. 4. Spoon into the lined loaf tin and level out. 5. Bake in the preheated oven for about 1 1/4 – 1 1/2 hours until the cake is golden brown and a skewer comes out clean when poked into the middle of the cake. 6. Allow the cake to cool in the tin for a few minutes, turn out on to a wire rack and leave to cool. 7. To decorate, warm the apricot jam in a small saucepan and brush over the top of the cake. 8. 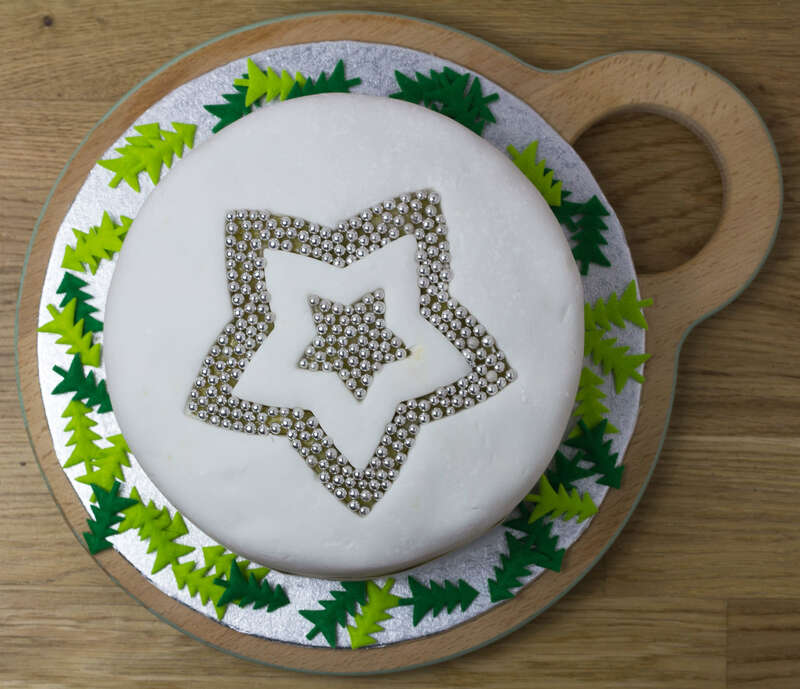 Roll out the marzipan and icing and cut to just cover the top of the cake. Use the tin you baked it in as a guide. Place on top of the cake. 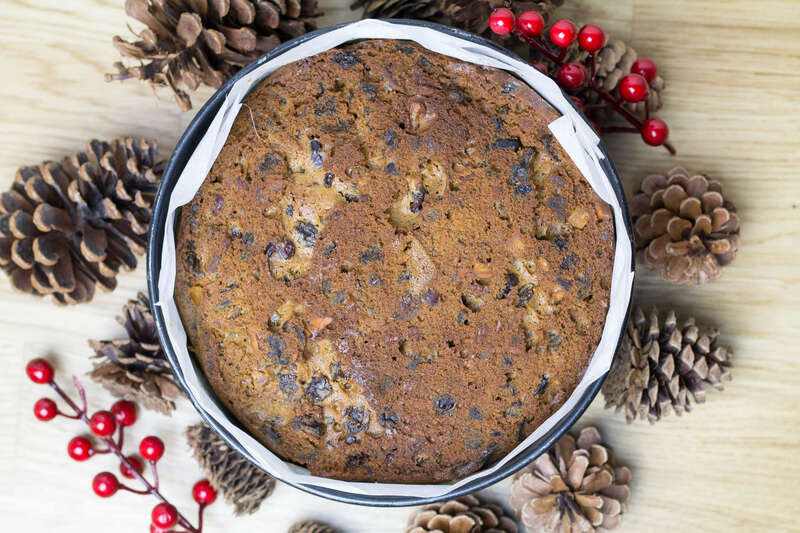 A delicious quick Christmas fruitcake packed with mincemeat and dried fruits . Preheat the oven to 180c / 160C fan 140C/gas 3. 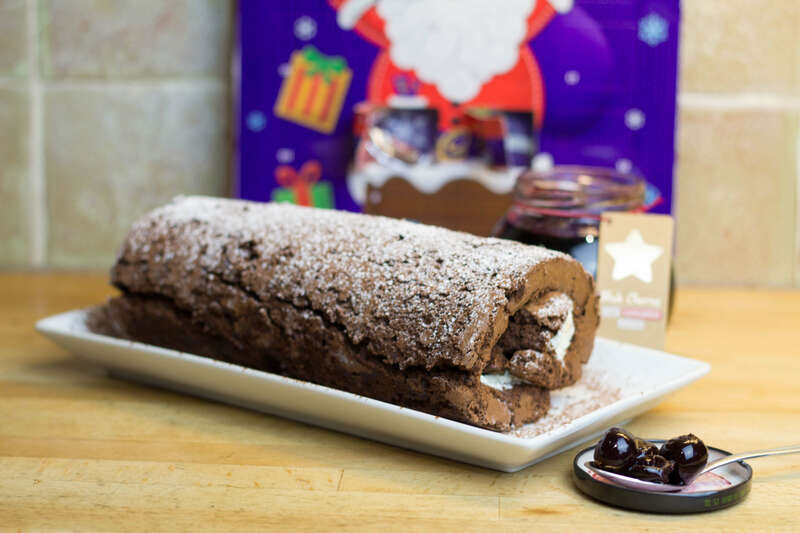 Line a 2lb loaf tin with baking parchment. Cream the softened butter and sugar together either with a wooden spoon in a large bowl or a stand mixer. Add all the remaining ingredient into the bowl and beat well until thoroughly blended. Spoon into the lined loaf tin and level out. Bake in the preheated oven for about 1¼ - 1½ hours until the cake is golden brown and a skewer comes out clean when poked into the middle of the cake. 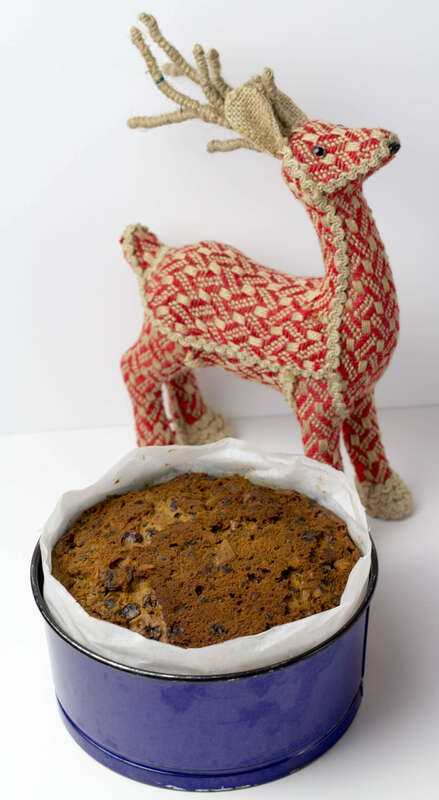 Allow the cake to cool in the tin for a few minutes, turn out on to a wire rack and leave to cool. To decorate, warm the apricot jam in a small saucepan and brush over the top of the cake. Roll out the marzipan and icing and cut to just cover the top of the cake. Use the tin you baked it in as a guide. Place on top of the cake. 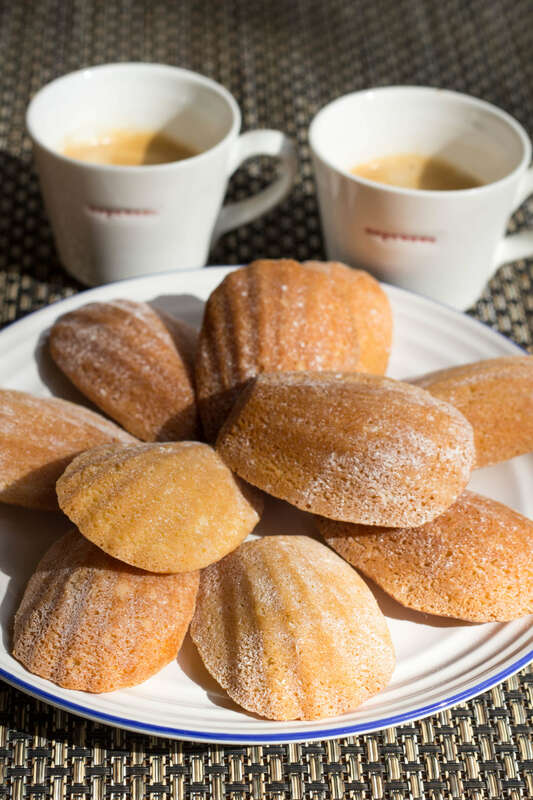 Madeleines are delicious little light buttery french cakes, traditionally made in a tin shaped like a scallop shell. They are kind of a cross between a biscuit and a cake. Hard on the outside with a soft light and fluffy sponge center. 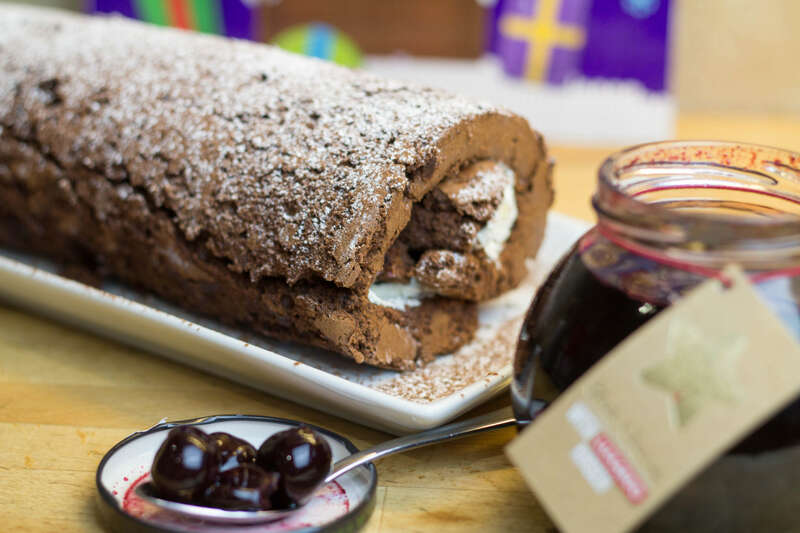 They can be a little tricky when trying to make these in the traditional method, making the batter in the same way you would normally make a Genoise sponge mix. But I came across this easier method which are just as delicious and satisfying to eat or dunk with a lovely cup of tea. Or in my case dipped in a strong espresso! The honey in the recipe gives an additional depth of flavour. The sign of a good Madeleine I am told is the hump that forms on the back of the cake. You are aiming for a Quasimodo in “The Hunchback of Notre Dame” size hump. I did not get the same hump in this recipe but who cares, they taste fantastic! To prevent the purists or French from getting upset I will also post a more traditional recipe soon. For additional twist you could add the zest of a lemon or orange to the wet mix before you combine the wet and dry ingredients. 1.Grease a 12 hole madeleine tin with a small amount of the melted butter and dust lightly with flour. You can use a small tart tin if you don’t have the a madeleine tin. 2.Combine the flour and sugar in a bowl. 3.In a separate bowl whisk together the cooled melted butter, egg yolk, honey and vanilla. 4.Whisk the two egg whites to stiff peaks. 5.Mix the liquid mixture into the dry ingredients until evenly combined. 6.Gently fold in the egg whites in two batches using a metal spoon or spatula, making sure all the egg white is incorporated. 7.Divide the mixture between the prepared moulds. Do not overfill as these will expand, a large teaspoon should be fine. 8.Bake for 10-12 mins until golden brown. 9.Leave to cool in the tin for a few minutes and then remove and allow to cool on a wire rack. Grease a 12 hole madeleine tin with a small amount of the melted butter and dust lightly with flour. You can use a small tart tin if you don't have the a madeleine tin. In a separate bowl whisk together the cooled melted butter, egg yolk, honey and vanilla. Whisk the two egg whites to stiff peaks. Mix the liquid mixture into the dry ingredients until evenly combined. Gently fold in the egg whites in two batches using a metal spoon or spatula, making sure all the egg white is incorporated. Divide the mixture between the prepared moulds. Do not overfill as these will expand, a large teaspoon should be fine. Bake for 10-12 mins until golden brown. Leave to cool in the tin for a few minutes and then remove and allow to cool on a wire rack. I love a good old muffin, it’s versatile, easy and delicious. However when friends or family come round I like to serve Friands, as it seems like you have pushed the boat out making these fancy little french cakes. They are super simple to make like a muffin. Friands are little cakes, typically oval shaped, originally from France. If you do not have a friand tin you can always use a muffin tin. The cakes are made with ground almonds, melted butter icing sugar and egg whites (instead of whole eggs) and a small amount of flour, which makes them super light and the almonds keep them moist. 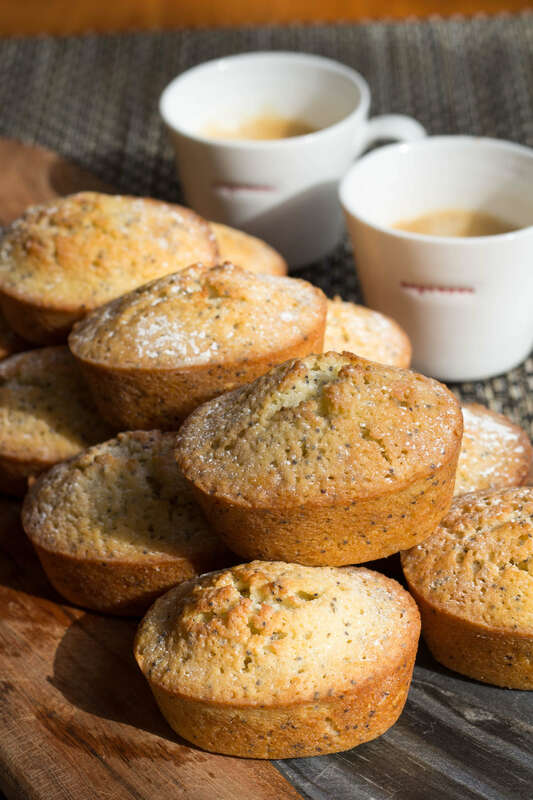 Like muffins you can easily tweak the flavours to make a whole range of friands. Rather than poppy seeds, you could always add some blueberries or raspberries to the batter once mixed and gentle fold them in. Or swap out the lemon zest for orange zest and add in some cranberries. A word of warning due to using 6 egg whites the batter can feel gloppy and with the poppy seeds a little reminiscent of frog spawn. Do not be put off by that. Once baked they are fluffy, light and delicious. You will be a convert and your guest will be amazed at these little beauties. If you want to amp up the lemon flavour, I like to add half a teaspoon of a good lemon extract. 1. Grease 12 x ½ cup oval friand tins or a 12-hole muffin tin; stand on a baking tray. 2.Place egg whites in medium bowl and whisk lightly until they have combined together. they should still be runny, transparent with just a little froth on the top. 3.Zest the lemon, sift icing sugar and flour into the egg whites and add all remaining ingredients into the bowl. 4.Stir with a wooden spoon or spatula until just combined. 5.Spoon mixture equally into the fraind or muffin tin . 6.Bake friands about 25 minutes until golden brown. Cool on a wire tray, topside up. 7.Serve friands warm, dusted with extra sifted icing sugar. These store well for a few days in an airtight container. Friands are little cakes, typically oval shaped, originally from France. If you do not have a friand tin you can always use a muffin tin. The cakes are made with ground almonds, melted butter icing sugar and egg whites (instead of whole eggs) and a small amount of flour, which makes them super light and the almonds keep them moist. Grease 12 x ½ cup oval friand tins or a 12-hole muffin tin; stand on a baking tray. Place egg whites in medium bowl and whisk lightly until they have combined together. they should still be runny, transparent with just a little froth on the top. Zest the lemon, sift icing sugar and flour into the egg whites and add all remaining ingredients into the bowl. Stir with a wooden spoon or spatula until just combined. Spoon mixture equally into the fraind or muffin tin . Bake friands about 25 minutes until golden brown. Cool on a wire tray, topside up. Serve friands warm, dusted with extra sifted icing sugar.